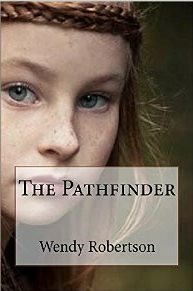 (If you are inspired to read THE PATHFINDER you can obtain it HERE. 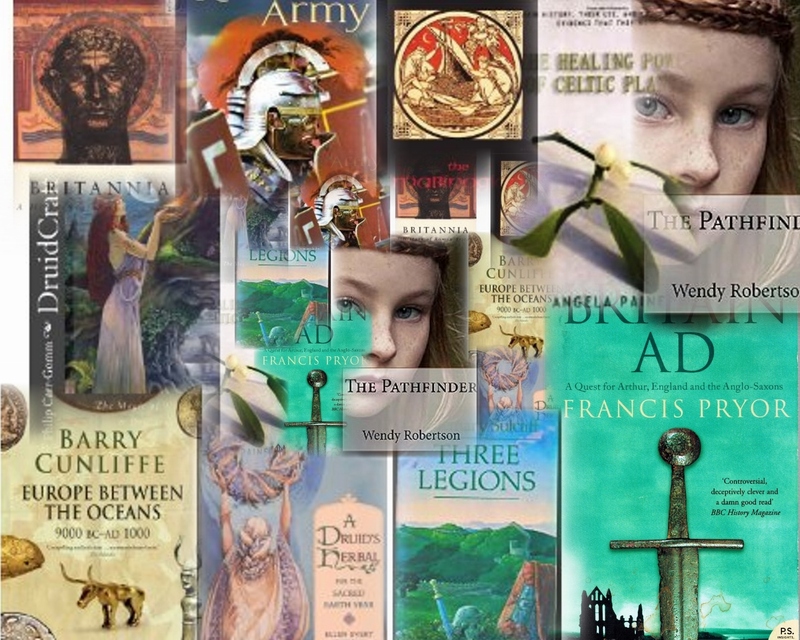 The Pathfinder centres on the lives my heroine Elen, her song-smith brother Lleu and their father Eddu a King of West Britain. In 383 AD, myth and history tells us of a truly great love story that blossoms between Magnus Maximus, the Roman leader in Britain - afterwards for five years Roman Emperor - and Elen, daughter of a powerful British king in the place we now call Wales. Magnus is fascinated by Elen, a gifted Seer, healer and ‘pathfinder’ whose talented ancestors made straight roads in Britain long before the Romans. As the Roman Empire begins to crumble, the love and marriage between Elen and Magnus forge a link between the sophisticated creative and trading Celtic culture (with its esoteric rites and rituals) and the pragmatic military culture of Rome, now beginning to impose Christianity on the known world. But while the story contains political and historical themes it is the essentially personal story of Elen and Magnus Maximus (called Macsen Wledig in the Welsh histories), Lleu, Elen's brother and Quintanius Sixtus, Macsen’s friend. Here is an extract from the story, where Elen walks on fire at the Aclet Midsummer revels the day after she has met the Roman commander by a water pool. […] Now Lleu’s voice rises in the air. His is not a prayer but a story. He declaims a tale about the ancient power of fire that first came to our ancestors from Lugh the sun God. His tone deepens as he tells of great forces raised by Seers to defend our West Britain from the invaders. He names heroes who fought and seemed to win, then were defeated and slain in their thousands. He names great women who defied the enemy and threatened them with spells and bolts of fire spouting from their fingers. Then he tells how these heroic men and women of the highest council of the wise in the British West - – who in their honeycomb brains held ten thousand years of knowledge of the earth, the sky and everything in between; who were the nestlings of the Gods; who were the most significant of our people – all these great ones who were driven into the sea and slaughtered in their thousands. Now, here on Aclet field, you can hear a feather land. You can sense all the people there around the fire-pit straining not to look at the visitors or the bright Roman standard floating above their heads. They are tense, waiting. Even through my meditation I see that what Lleu is saying is forbidden: pure treason against Caesar’s men. My blood chills. I swear that if Lleu turned to the crowd this minute they would take up the fight and demolish the invaders even here in their midst. But Lleu’s voice fades on the air and now an eerie silence fills it. My grandfather and uncle’s faces are stern and Kynan and Gydyan have their hands on the hilt of their swords. The soldier with the standard senses something, even though he cannot understand Lleu’s words. His thick muscled arm tenses as he grasps his standard more tightly. But the three of them, the Commander, the General and the Procurator are standing easy, their faces neutral. Kynan and Gydyan relax and fold their arms across their broad chests again, to enjoy the show. The soldier’s grasp on the standard loosens. At last the people in the crowd send up loud cheers and out of the corner of my eye I see the General smile slightly and say something to the man beside him, his Procurator. Lleu raises his hand. I close my eyes and think of the statue of Olwen, of Arianrhod in the centre of the pool in my father’s house. Cool holy water. This is what I have been taught. Then I raise my hand and, side by side, Lleu and I begin, steady step by steady step, to walk on fire. We do not hurry. The crowd breaks into great applause as finally we leap back onto the grass at the far end. The old priest, still standing there at the end of the fire pit, waves his staff across us and sings a blessing. I am filled with energy and delight and smile broadly as I wave at the great circle of people standing here. Lleu holds up his arms in a victory salute. The young stick fighters beat their sticks against each other making a rattling rhythm. A pipes-man squeezes out a few notes. Another man makes his elk horn pipe squeal. Lleu smiles and shushes the crowd. ‘Would any here like to walk the fire as do my sister and I?’ He grins broadly at the chorus of groans. (If you are inspired to read the novel you can obtain it HERE. 'A Rare Breed.'. The significance of reviews.